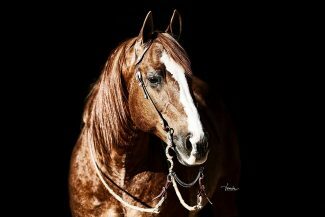 AQHA's New Years resolution is to ensure ranch horses look and ride as they should. As of Jan. 1, 2018, a new rule has been added to ensure ranch horse tails have a natural appearance. Rule SHW419.4 states, "Unnatural ranch horse appearance (Horse's tail is obvious and consistently carried in an unnatural manner in every maneuver)." "If they look unnatural in every maneuver, they're going to get a 10-point penalty," said Kim Lindsey, AQHA director of ranching. "It's going to have to be that horse that is extreme. We just want to preserve the ranch horse and our ranching heritage." Rules already exist that have that goal in mind, including a one-point penalty per maneuver for a horse that is overbridled, out of frame, or too slow, and riders with extremely draped reins receive a three-point penalty per maneuver. "We don't mind them riding them on a loose rein, but for instance if they were going across the pasture and needed to dodge a prairie dog hole, if they needed to pick up the reins and didn't have contact, that would be too loose," Lindsey said. Aimee Getter showed her stallion Lenas Sugar Prince throughout Texas and Arkansas last spring and summer. 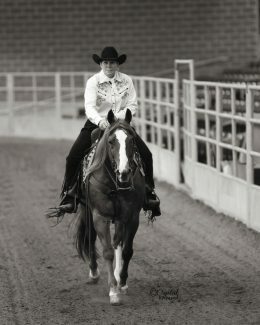 She follows and agrees with the new and existing rules preserving the look of horses shown in Versatility Ranch Horse, Zoetis AQHA Ranching Heritage Challenges, and ranch riding classes. 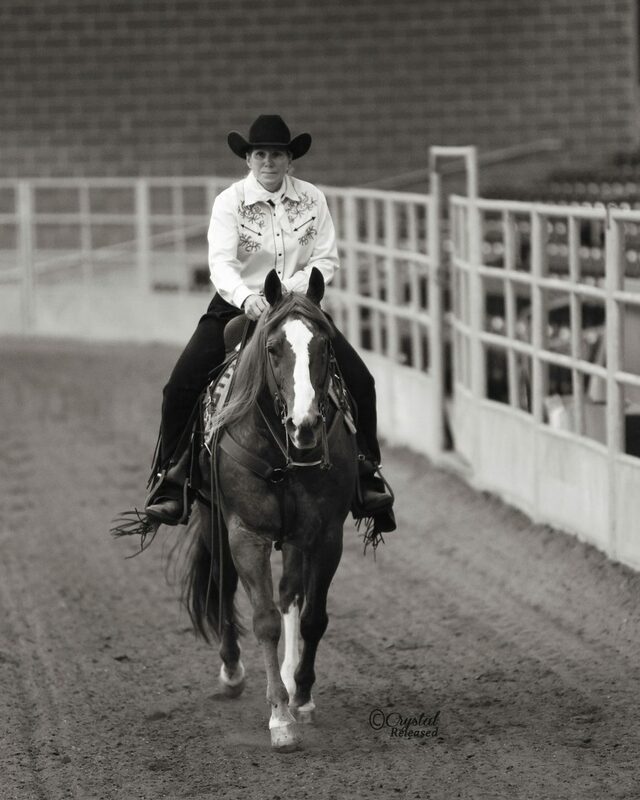 "I think it might shake up the game for riders that show true to form in other disciplines, such as reining and western pleasure horses, where they demonstrate a style specific to that venue," Getter said. "I do ride with a natural headset, I know this because I let him be. My NRHA reining horse, now he needs to keep his head where I make him." "Just let him be natural," Lindsey said. "A lot of horses are going to carry their heads a little higher, or some a little lower, so it depends on how their neck comes out of their shoulders, but we're asking riders to let them be."